NRATV, the National Rifle Association’s broadcast outlet, completely ignored news of an apparently racially motivated shooting at a Kroger grocery store in Kentucky that debunked the already discredited “good guy with a gun” myth and left two dead. On October 24, 51-year-old Gregory Bush attempted to enter  a predominantly Black church in Jeffersontown, KY, before heading  to a Kroger grocery store where he shot two Black victims, the first in the store and the second in the parking lot. An armed bystander fired at Bush after he shot his second victim but missed him. Another witness said  Bush told him he spared the witness’s life because “Whites don’t shoot whites.” The incident is currently being investigated  as a hate crime. The attempted action by an armed bystander further discredits the “good guy with a gun” myth,” a favorite  of the NRA’s that has been debunked by both researchers and law enforcement. The “good guy” almost never stops  an active shooter situation and actually can create further confusion  for police officers arriving on scene. 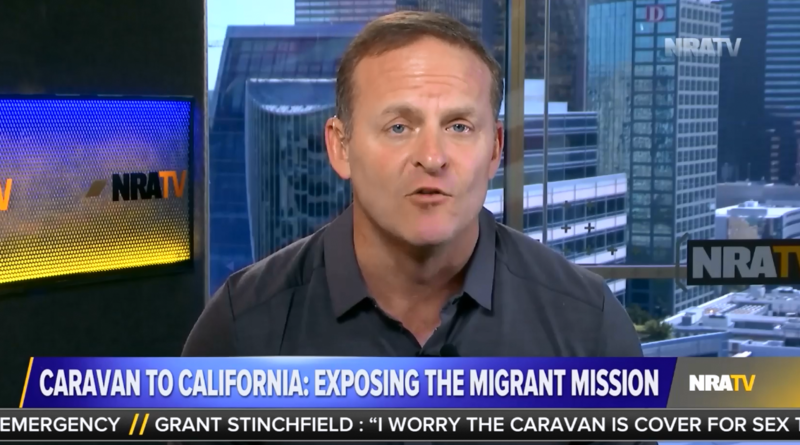 On October 25 and 26, none of NRATV’s supposed news shows covered the shooting or developments in the days that followed, instead choosing to spread  conspiracy theories about the migrant caravan making its way toward the United States, cast doubt  on the legitimacy of the recent pipe bomb spree , and promote  athletic clothes with a holster in them. UPDATE: Following the publication of this post, host and NRA spokesperson Dana Loesch mentioned the shooting during the October 29 edition  of NRATV’s Relentless, noting it “raised a lot of questions as to whether or not this killer’s motivations were racial.” A chyron on Loesch’s show also falsely hailed it as an example of a shooting “stopped by good guy with a gun.” While the gunman did exchange fire in the Kroger parking lot with a person with a concealed carry permit, no one was hit in the exchange. According to another witness , who was also armed, the gunman “nonchalantly” left the scene after reportedly telling the witness, “Don’t shoot me. I won’t shoot you. Whites don’t shoot whites,” a fact Loesch herself noted during the segment.